I bet that not many are aware of the existence of a certain Asterius, once Bishop of Amasea (modern Turkey). Not only because he lived many centuries ago (350-410) but also because, let us be honest, he is not one of the most popular early Christian writers. But indeed he is not someone to be taken lightly. Let us say that even if one may think that it is not easy to know something about him, we need to discover that indeed that were many “Asteriuses” that were quite prominent in early Christian history, something that to us may seem strange because this name is so out of use nowadays (have you ever met someone called Asterius?). But also our own Asterius, the Bishop of Amasea, hasn’t got many things in record regarding his life. We know about him because of his homilies and these are luckily preserved, at least part of them. Catholic Encyclopedia says: “The only fact in his life that is known is related by himself, viz. his education by a Scythian or Goth who had been sent in his youth to a schoolmaster of Antioch and thus acquired an excellent education and great fame among both Greeks and Romans. The extant writings of Asterius are twenty-one homilies, scriptural and panegyrical in content. The two on penance and ‘on the beginning of the fasts’ were formerly ascribed to St Gregory of Nyssa (Bardenhewer, Patrologie, 1901, 267). 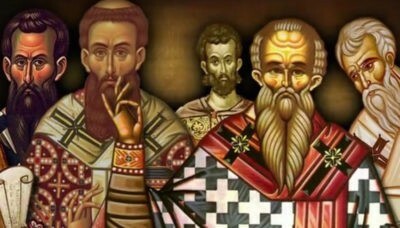 A life of his predecessor, St Basil, is ascribed to Asterius (Acta SS. 26 April). His works (P.G. XL) are described by Tillemont (Mem., X, 409). He was a student of Demosthenes and an orator of repute. Lightfoot says (Dict. of Christ. Biogr., I, 178) that his best sermons display ‘no inconsiderable skill in rhetoric great power of expression, and great earnestness of moral conviction; some passages are even strikingly eloquent.’ The homilies of Asterius, like those of Zeno of Verona, offer no little valuable material to the Christian archaeologist.” (Shahan, T. (1907). 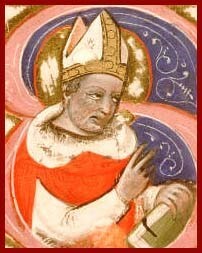 “Asterius.” In The Catholic Encyclopedia: http://www.newadvent.org/cathen/02018a.htm). Would that these two short passages may create in the reader the willingness to know more about our Asterius, who has so much to say even for our troubled times. 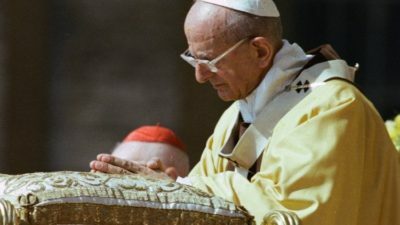 Next PostBITE-SIZE THEOLOGY (23) – How dependable is the Magisterium? BITE-SIZE THEOLOGY (5) – What other evidence do we have aside from manuscripts?